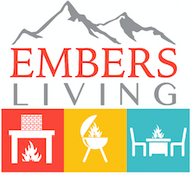 At Embers Living, we have portable grills in a wide variety of sizes. Some of the brands we carry are Summerset, American Muscle, Everdure, Evo Affinity, Phoenix, and more. All of the portable grill gas options we carry are of the highest quality so that our customers can grill their best meals without any issues. Whether you want a large 54” grill or a smaller 25” indoor tabletop grill, we have options to suit every home. Browse our website and get yours today!